retrogameart.com: LIFE ONLINE, or "How Do You Know I Am Who I Say I Am, and That I Actually Did The Art That I Say I Did?!" LIFE ONLINE, or "How Do You Know I Am Who I Say I Am, and That I Actually Did The Art That I Say I Did?!" WHO IS THAT MASKED MAN??!! 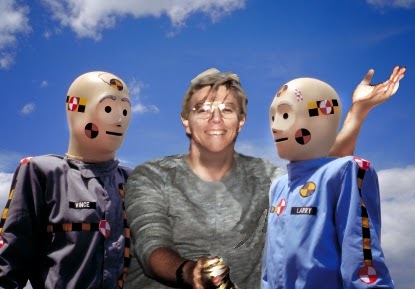 and What's He Doing With Those INCREDIBLE CRASH TEST DUMMIES??!! Spare Tire, Hub Cap and Bumper, and all the Junkyard Bots were close personal friends of mine. 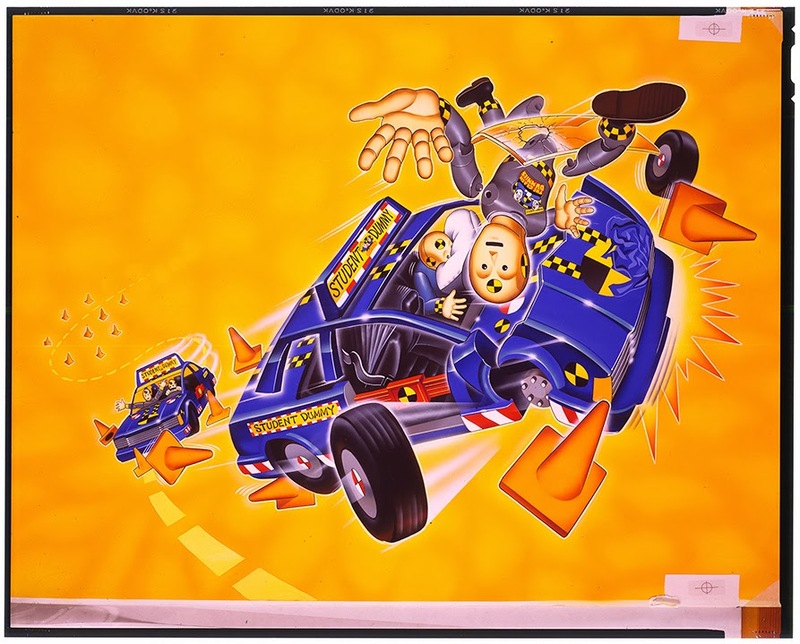 I did all the art for that series for Tyco Toys in '92-'93, and was there when they made their way into the video game world! HOW CAN I PROVE THAT?? One of the major challenges I faced when I began my quest two years ago to claim credit all of the art I did for the gaming world involved overcoming gaming company policies stating that there would be no credits given for the illustrators on the packaging. This was certainly not uncommon. Ordinary practice in Commercial art was in line with those policies. Editorial art was a far different matter, and most illustrators doing work for magazines and newspapers always received their bylines. 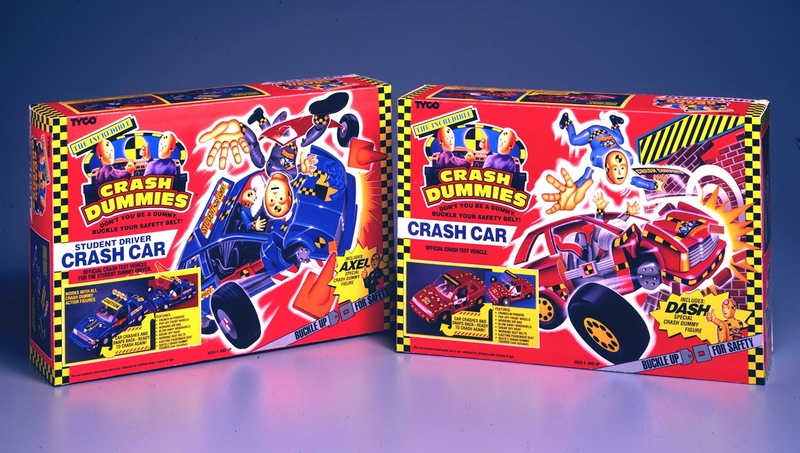 Dummies in a videogame platform. The Japanese version is seen here. 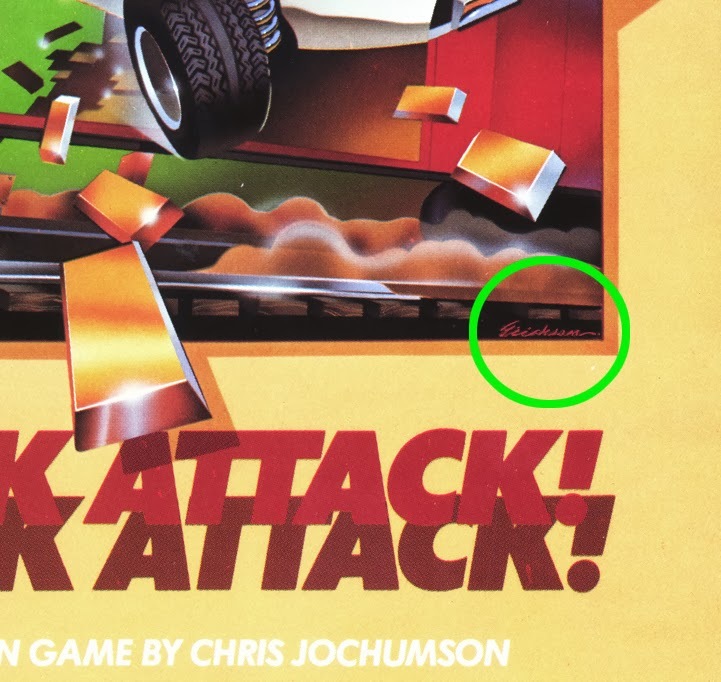 Obviously, 30 years after the fact, it leaves most video game art orphaned, with its creators scattered to the winds , possibly not even among the living. 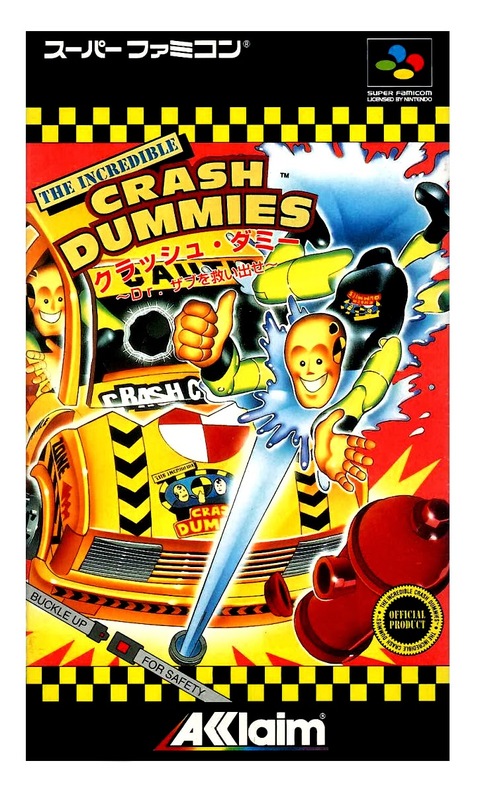 This group, I found through their forum, agreed with my suggestion that game fans would be a least a little interested in the lost art of retro video game cover illustrations. I found that in fact, many are viscerally interested in learning about the art that so influenced them in their youth. Mobygames is no pushover though. Each reviewer for each game I submit for approval asks questions or brings up issues with anything they perceive could be inaccurate or untrue. My first forays with mobygames involved letting them know I was who I said I was. 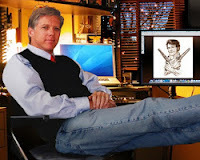 I referred to my website marcericksen.com so they could check out my current work. Then I began sending them images that HAD been printed showing my signature. 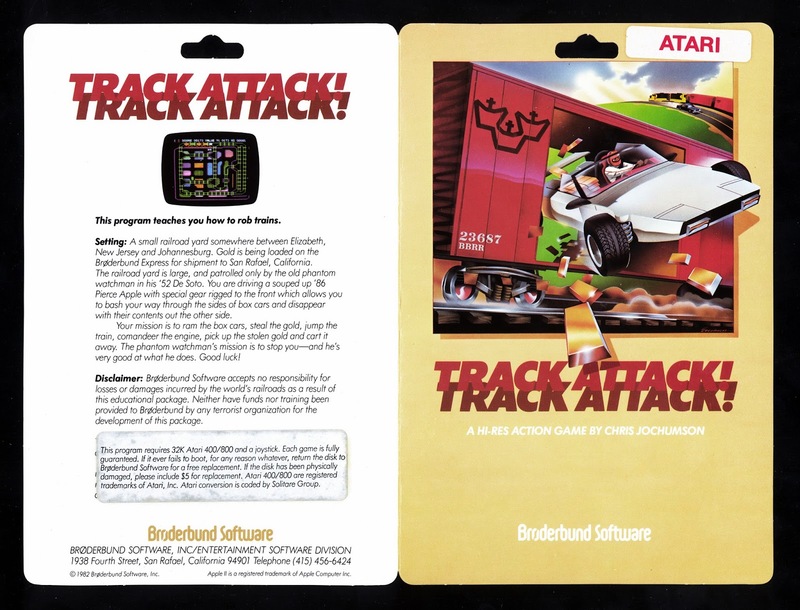 Primarily these were my original works for BRODERBUND, where Doug Carlston so kindly requested in 1982 that I sign my pieces, when I did the first half dozen pieces for his firm, as he launched it into the nascent gaming world. illustrator, through my visible signature. 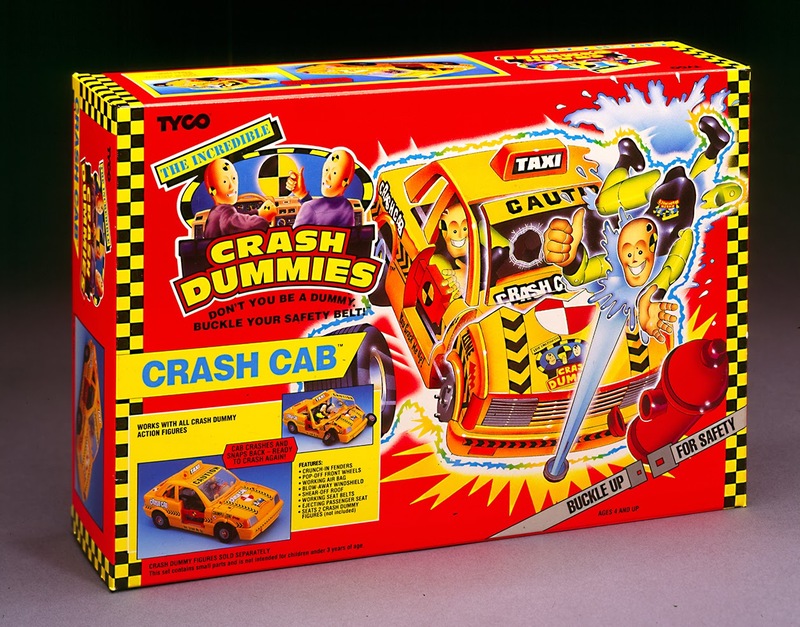 Here is a never before seen 8"x10" transparency full art version of Crash Test Taxi playset art created for Tyco Toys, later used in the Game Boy version of the Incredible Crash Test Dummies video game, one of many applications for gaming with this popular toy series, for which I illustrated all the packaging art. 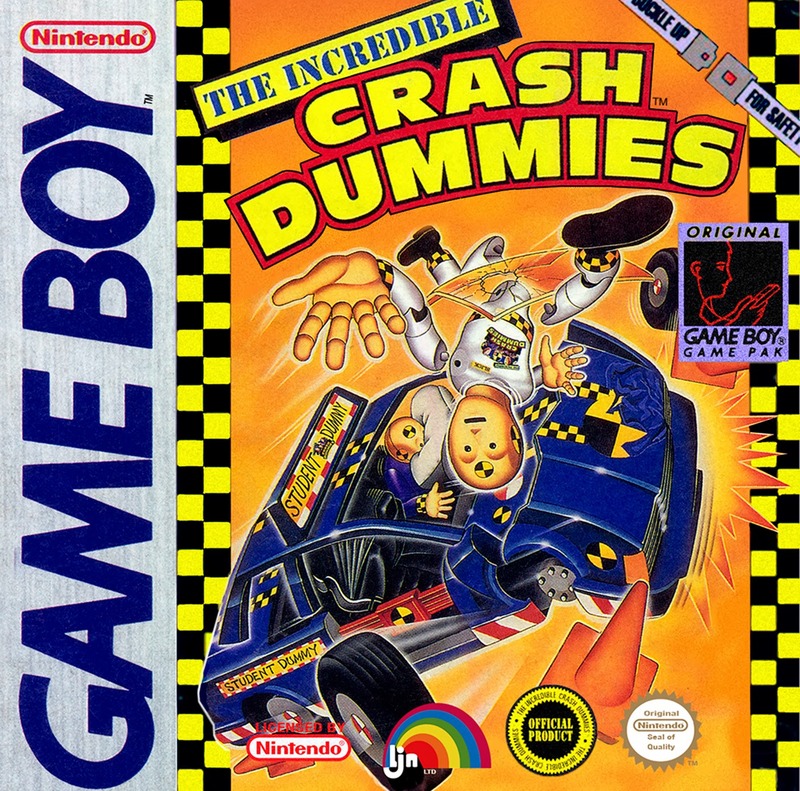 The Game Boy box took its art from the Student Driver Crash Set shown here. THE LOGSHEETS and Peripherals. 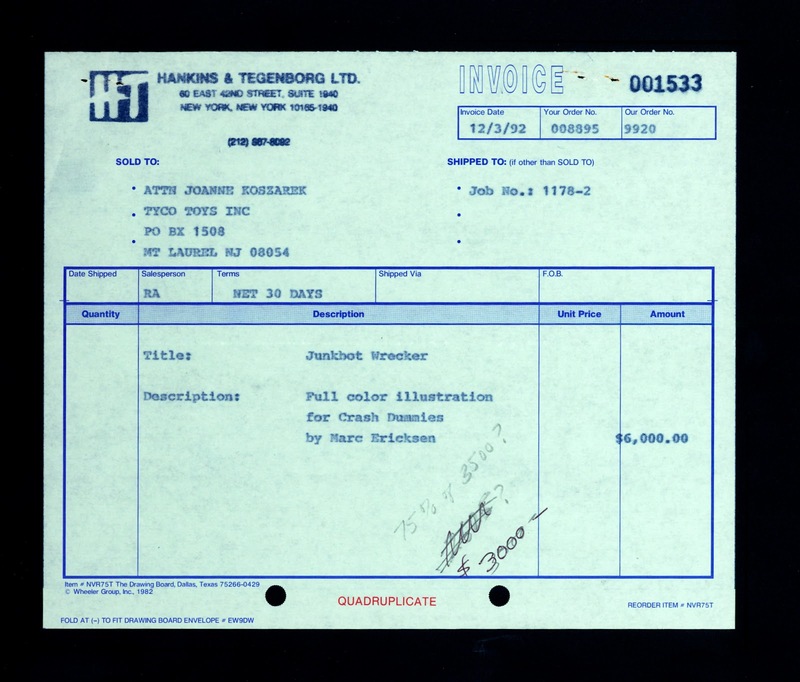 INVOICES and PURCHASE ORDERS. 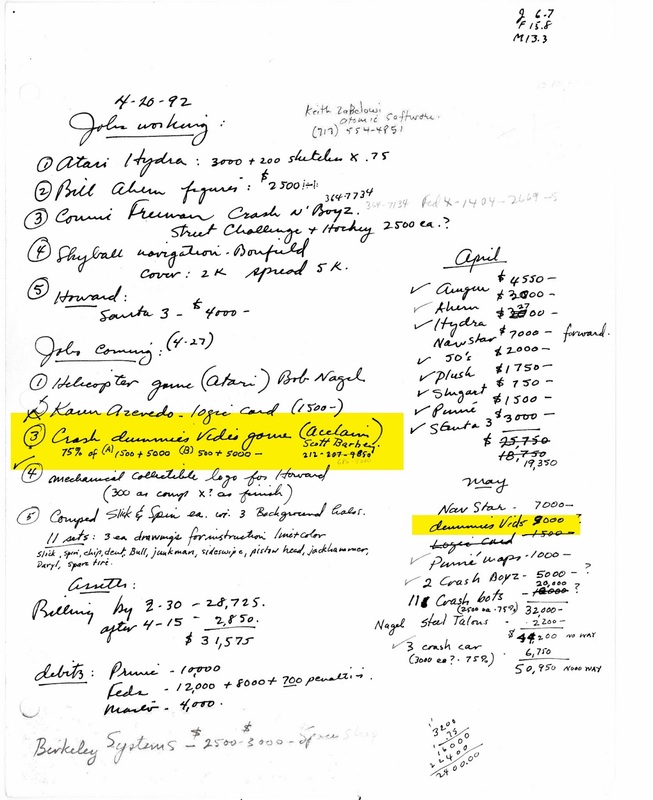 Another tactic for proving my claim is to show Mobygames log sheets that I maintained during my time illustrating. Once or twice a week, I would create an letter sized log sheet, that very roughly told me where I stood on various jobs. These were never intended to be be maintained in perpetuity. I was simply too lazy, or busy, to clean out my business cabinets, and the net net was that they slowly accumulated over the years like the sediments in the Dead Sea. To my delight, when I began gathering these logs, they provided vital clues to help me remember so many of the games I had worked on. In the end, it is sites like Mobygames, that work so hard to insure that the information they gather is correct, that give me hope that my own contribution to early gaming will be accurately remembered in years to come.